Last night, Apple released a new build of iOS 9.3 (13E236) designed specifically for the GSM iPad 2, addressing an issue that prevented the GSM iPad 2 from accessing Apple's activation servers. After downloading iOS 9.3, some iPad 2 users received the following message: "Your iPad could not be activated because the activation service is temporarily unavailable," a problem the update aims to fix. There has been some confusion over the iPad 2 iOS 9.3 update, because there is a second separate activation bug affecting many older devices, including the iPad Air and earlier and the iPhone 5s and earlier. The second activation bug, which spurred Apple to stop signing iOS 9.3 for multiple products yesterday, prevents older device owners from activating their iPhones and iPads if they can't remember the Apple ID and password originally used to set up the device. While the iPad 2 iOS 9.3 update fixes the first activation issue, it does not address the second activation bug that affects many more devices. 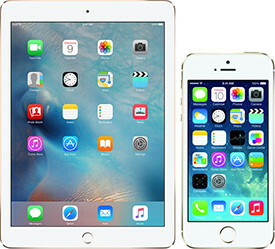 Apple has not resumed signing iOS 9.3 for older devices, so many customers who have an iPad Air or earlier, iPad mini 2 or earlier, or iPhone 5s or earlier are not able to download and install iOS 9.3 if they have not done so already. Apple has said it is working on a fix for the second activation issue, which will be released in the form of a new update to iOS 9.3 in the next few days. Until that time, customers who have an older device will need to remain on iOS 9.2.1. Update: Apple has released an updated build of iOS 9.3 for all users affected by the bug. The latest update has the build number 13E5237 and should fix the iOS activation lock problem on older devices. His job as CEO was not to write code. of wretched hardware and software disasters didn't happen. Apple's incompetence of late is just stunning. So we had the 8.0.1 update that completely killed cellular functionality for people who had just bought the iPhone 6 (myself included), the 9.2 update that bricked iPhones with replaced Touch ID sensors, and now the 9.3 update that potentially locks up devices in two separate ways (though one has been fixed). What is going on with Apple's software quality control? It has gone absolutely down the toilet since they fired Forstall. Prior to version 7, iOS certainly had bugs. However, they were almost always minor, required usually no more than one .x release to fix, and were never show-stopping like some of these ones we have seen over the past few years. The craziest thing is that iOS 9 has had a public beta program for each 9.x version and has still managed to have several of these large bugs. It used to be that I would install the latest iOS update the moment it came out. Now, I wait at least a few days to make sure it's not going to brick my phone. Sad that Apple has let things get this bad. What is the purpose of ios activation? Is it just asking Apple for permission to use our devices? This seems like a fairly large screw up for an OS that was tested so extensively. Apple needs to do some serious internal analysis as to how this happened. The second activation bug, which spurred Apple to stop signing iOS 9.3 for multiple products ('https://www.macrumors.com/2016/03/24/apple-pulls-ios-9-3-older-devices/') yesterday, prevents older device owners from activating their iPhones and iPads if they can't remember the Apple ID and password originally used to set up the device. I have a hard time sympathizing with people who "can't recall" their AppleID and password. This reeks of "get your sh*t together"/user error, not an OS problem. Wow, the iPad 2 still runs iOS 9. It'll always have a special place in my heart, but I upgraded to the iPad Air 2 about 18 months ago and I couldn't be happier. The iPad 2 was a unique device. Major leap forward in terms of performance over the first generation, and the competition could not match, at the time. Agree. The iPad 2 and iPhone 4 were both legendary devices within their line in that they both a major leap over their predecessors and were tremendously popular for a long time. The iPad 2 is officially dead, officially. Long live the best selling tablet ever. Not having Night Mode doesn't make it "obsolete"
I mean... you never had Night Mode. So nothing has changed in that respect. I can understand if a new feature is not included because of hardware constraints but this is clearly an example of not including a new feature to incite upgrading the hardware. How do I know? Flux worked flawlessly before Apple banned it.